In this episode, Chris and Cody educate themselves (and our listeners!) on the religion of Voodoo. 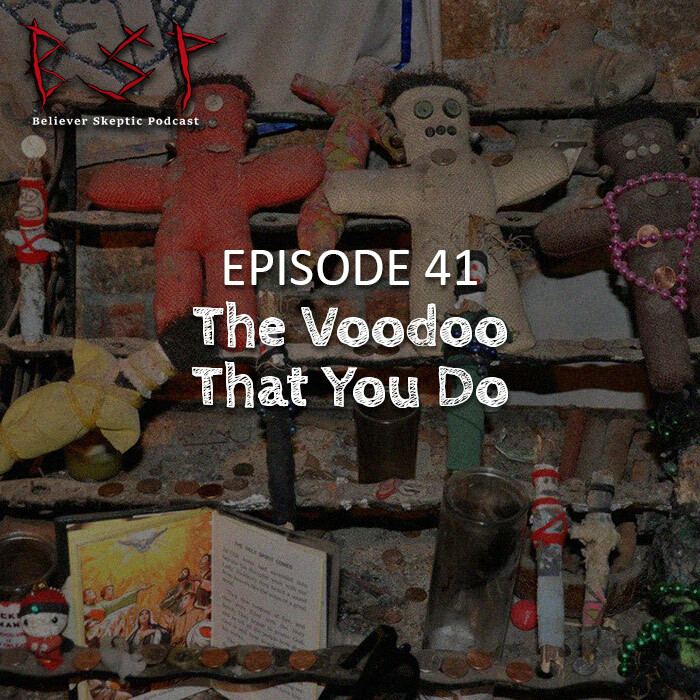 In the longest history (of the podcast series) they dispel some of the common myths associated with Voodoo and differentiate it from Hoodoo. Then, Cody’s first story delves into a specific type of witch known as a Bokur and the creation of Voodoo zombies (that are VERY different than what you think). Chris’s story is about a supposed curse on the small Louisiana town of Frenier. Cody then talks about Clarvius Narcisse and his years as an actual zombie (you have to listen to this story to believe it!). This week’s drinks are are Voodoo Ranger and Biltmore Blonde.